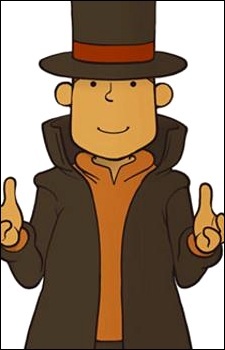 An archeologist with an extreme knack and liking of puzzles, Professor Layton is extremely good at solving mysteries though is not a detective (as he corrects people many times). He takes in Luke as an understudy though he cares for the boy quite much. Overall, the professor is a serene, very intelligent, and caring person. After solving the mystery of the Golden Apple in St. Mystere, he takes in Flora and becomes her guardian.